Weekday mornings can be rushed and more often than not, breakfast can be the forgotten meal. Without breakfast, our blood sugar plummets causing us to feel tired, irritable, our concentration goes out the window and we’re much more likely to reach for sugary quick fixes. Here are 4 quick options, which will never make you want to miss breakfast again. This is a super speedy breakfast and totally scrumptious. You can prepare the oats in the jam jar the night before, which makes them easy to transport. Oats are a great source of slow release carbohydrates, just what you need to prevent that afternoon energy slump. 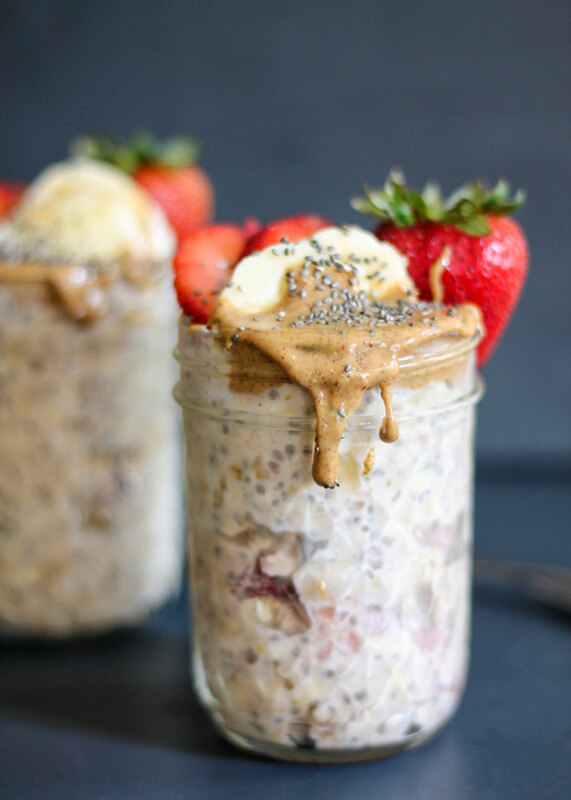 Mix the oats, chia seeds and milk together in a jar, drizzle over toasted almond butter. Top with raspberries and seeds and leave to soak overnight. In the morning drizzle with coconut blossom nectar if needed. Eggs are a perfect, protein rich way to start the day. Full of healthy fats called phospholipids, they enhance brain function and concentration. Boil 2 eggs the night before and peel the next morning. 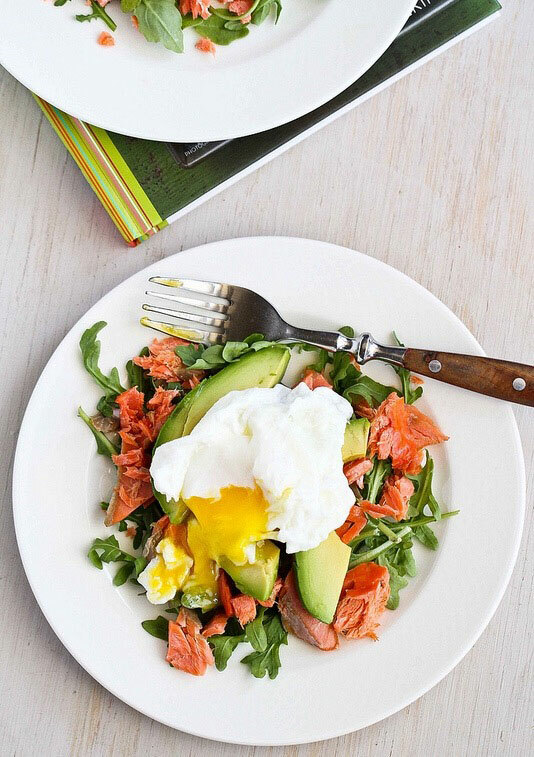 Add eggs to a pot with a slice of salmon and a handful of spinach. 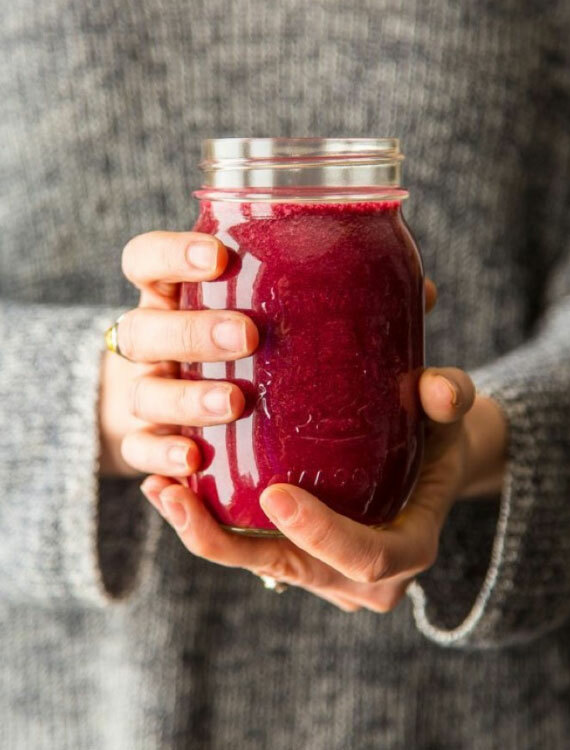 The smoothie is powerhouse of fruit and veg and you can smugly make your way to work knowing you’ve had 3 of your 5 a day before 9am! The Greek yoghurt provides good quality protein, which is essential for keeping us fuller for longer and for lasting energy. Buckwheat is an amazing gluten free seed, which is ground to flour and made into bread. 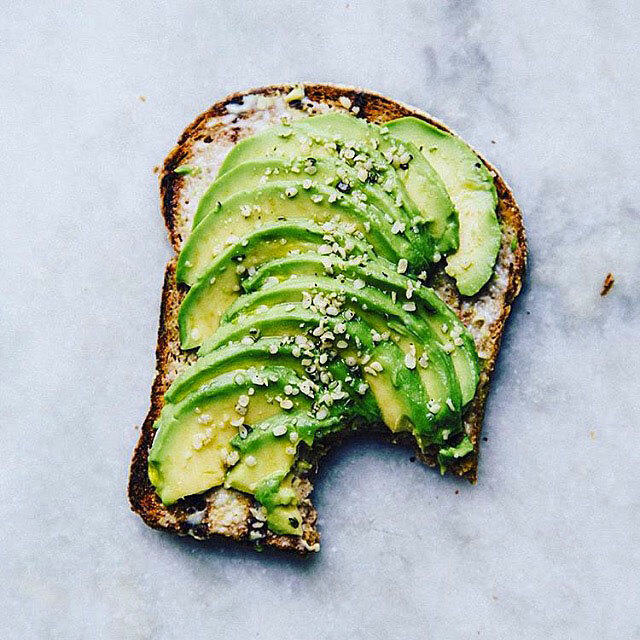 The avocado provides you with healthy brain fats for tip top concentration. Toast 1 slice of buckwheat bread. Use a fork to smash avocado onto your toast. Sprinkle with chilli flakes and season. 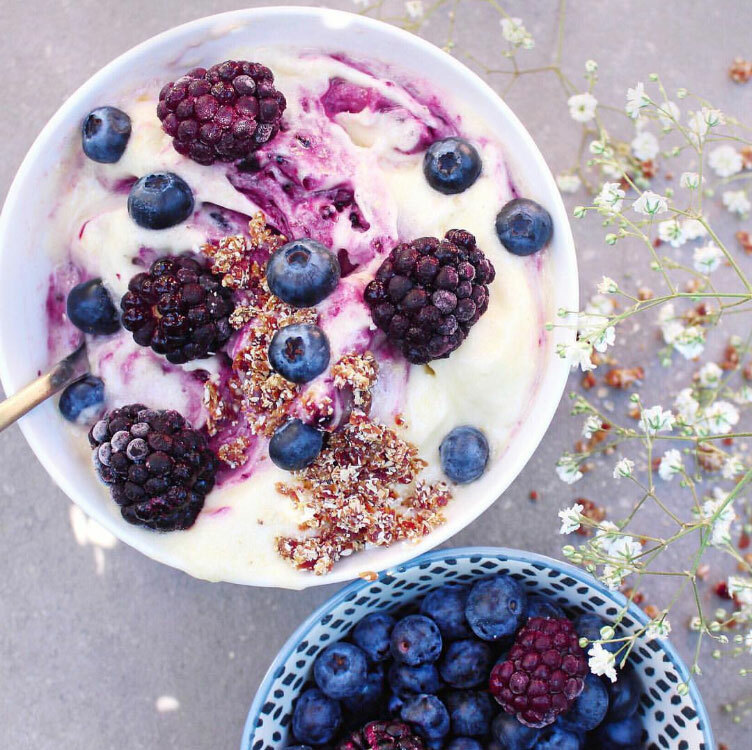 This creamy breakfast tastes totally indulgent, yet it’s the perfect choice to keep our blood sugar and energy levels stable throughout the day.